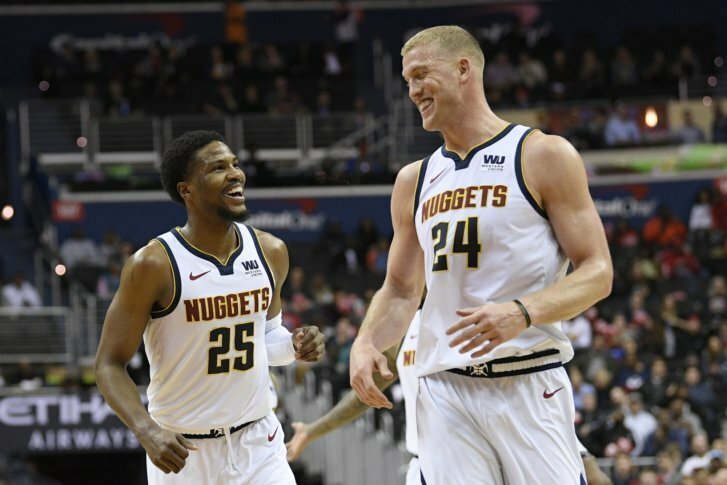 The Wizards’ playoff hopes took another dent Thursday night as Washington fell to the Denver Nuggets 113-108, their third straight loss. The Wizards’ playoff hopes took another dent Thursday night as Washington fell to the Denver Nuggets 113-108, their third-straight loss. Bradley Beal led all scorers with 25 points, also dishing eight assists in the losing effort. Thomas Bryant chipped in with 22 points and eight rebounds. Eight Nuggets finished in double-figures, Denver’s balanced attack proving too much for Washington. All-Star center Nikola Jokic earned a double-double with 15 points and 11 assists. One thing you should know about the game: Rookie guard Troy Brown Jr. made his first NBA start for the Wizards Thursday night and played well, scoring a career-high 13 points and snagging five rebounds. What’s next: The Wizards host the Miami Heat Saturday night at 7 p.m. Coverage begins at 6 p.m. on NBC Sports Washington and MyTeams. Related story: The Wizards have suited up 25 players in the 2018-19 season, setting a franchise-record.